The Webley Stingray is a high-powered spring pellet rifle. 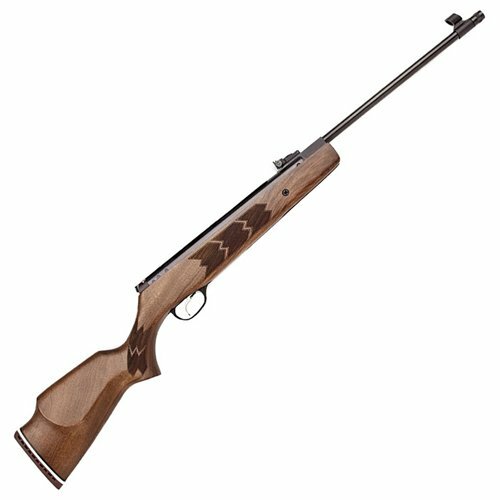 It features a rich walnut ambidextrous stock and a rifled steel barrel with a ventilated recoil pad and a tuned vibration absorber. The TRU-GLO fiber optic open sight system allows for precision sharp shooting from any distance. It has a two-position Quattro trigger that can be adjusted to your preference. This .177 caliber model fires 4.5mm pellets at extra high speeds. Dovetail is a type of optics mounting rail found primarily on pellet rifles, as well as some BB rifles. Unlike Weaver and Picatinny rails, Dovetail rails are not interchangeable with any other kind of scopes or sights. They will only accept Dovetail mounts, though you can also use a dovetail rail adapter to accommodate other mount types.